I live in sunny San Diego and live about 20 inland from the beach. My house is shared with Max Rebo, a 50lb Mutt (Lab/Shepherd/Basenji I think), sometimes he makes a crappy roommate but his cuteness makes up for it. I love to do DIY projects around the house, am downright crafty and love to be outside. Biking, running (reluctantly), walking Max and kicking it poolside of course. 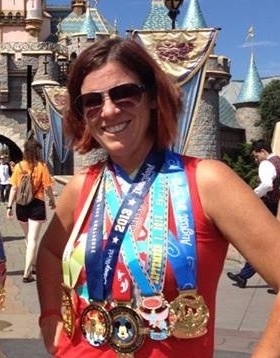 I’m a Disney freak and am currently on a quest to do all of the RunDisney events.